Last year, just a few days before the dreaded November 8, the day on which Modi’s decree on demonetization came into effect, I was so tired and exhausted of being myself that I decided to quit the overcrowded city in which I live and plunge headlong into the wilderness of the countryside. I spent the day skylarking in the serene woods of Bolpur, and at night I’d get mildly drunk and chat with my friends, count the stars, feed the dogs before lying on my bed and experience the blank slate of my mind being transformed into a dream theater. I remember buying books with what cash I was carrying before taking the train back to my home. I came back on November 7. 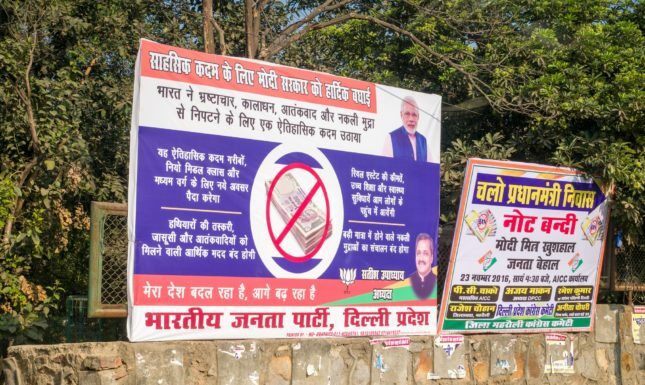 And when I woke up in the morning on November 8, my father announced to me in a very casual and non-dramatic way that currency denominations of five hundred and one thousand rupees (about $7 and $14 denominations, which amounted to 86 percent of India’s cash in circulation) were scrapped en masse. When I switched on the TV, there it was. The word I learned that day was: demonetization. The otherwise familiar and known landscape of Kolkata had been defamiliarized for all of us. As I walked out of my home, everywhere there were long queues. 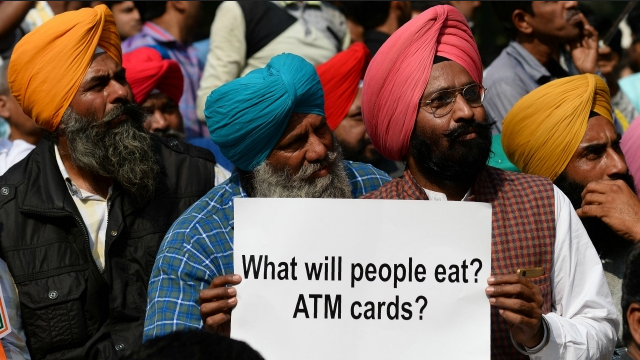 People stood helplessly often staring at the locks of Banks or ATMs. India had become queues. As usual, there were no special queues for women, senior citizens or those who were differently abled. The banks were too crowded to indulge in any form of civility towards the disadvantaged. 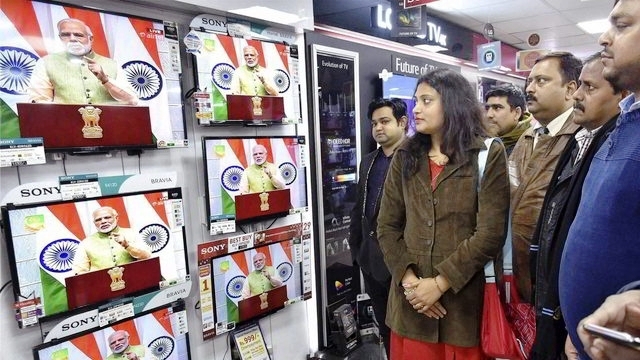 As the legendary queues grew like parasitic vines, on the TV the government did an all-out propaganda stunt. The initial shortage of currency did create a warlike situation for us. When Modi appeared for one of his monologues, he outlined three major reasons why his government did the unthinkable. He said that demonetization would kill the cross-border terrorism, it would help India get rid of fake currency, and this would also enable the country to tackle black money. In retrospect, it would be fair to say that demonetization has not been able to achieve any of its stated objectives. What, however, did happen on the contrary, as we all remember, was that ordinary life almost came to a halt. 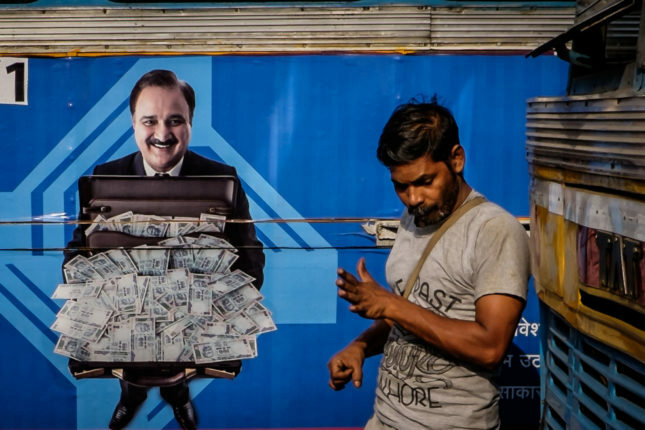 Banks and ATMs became some kind of sanctum sanctorum of a development god where each citizen was expected to devote several hours before he/she, if the citizen was lucky, could get some cash. My own personal experience of the matter was as follows. Most of the people to whom this author spoke were probably happy with it. But then, these were mostly people from the lower depths of society. These people were mostly repeating what the TV was already saying. Those days the TV and newspapers were full of all sorts of stories. One such news was that bags containing notes of five hundred and one thousand rupees were found floating in the Ganges River. Someone had scattered the notes and had left quietly. It was so magical a reality that everybody was enjoying it. I heard of news about people –- doctors, chartered accountants or even lawyers — who had committed suicide. They had a lot of cash stacked up in their attics. The government’s sudden decision to demonetize currency had reduced their unaccounted cash into paper without any legal tender. A lot of people were happy simply because they could see the asses of some of the rich being screwed. Others were happy because the media was telling them that now, with demonetization in full swing, the black marketers would be wiped out like vermin from the body politic. And then I remember there was a news report in some English language daily. It was related to policemen who came every evening at five thirty or so at the banks. It was reported that the policemen came to these banks with big bags and spent a couple of hours inside before they left empty handed. And all this was happening despite the loud and self-congratulatory tone of the government. We all know by now that demonetization created a perfect melee. In this melee a lot of people have died. Even a bank manager of a reputed public sector undertaking is reported to have died from overwork. When I was reading his story, for a fleeting while I had this idea in my head that I was actually reading a short story by the great American writer O. Henry. And sadly, demonetization created many such deaths, many such characters who met a tragic end. An estimated 100+ have died. Some months later the Bharatiya Janata Party (BJP) President Amit Shah, whose son now faces charges of possessing disproportionate wealth, was invited in one of those mock courts on TV. The host had asked him some question related to demonetization. Mr. Shah was quick to come out with Incredible India Inc. logic. He said that when we build roads, people do die of accidents. Don’t they? So would you blame the government? When development takes place, these things do happen! The government would simply not accept that fact that demonetization was a huge failure. It had to be. 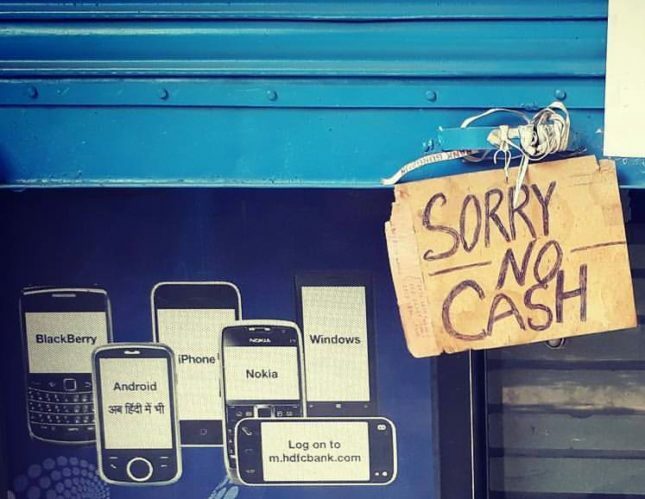 From what one can make out, demonetization was also an attempt to force digital money on a population that is barely literate and can hardly afford swanky phones. The only way to make digital cash more readily acceptable would be by drying up the hard cash. And no digital monetary system can work without phones. So when demonetization comes in full action it would simply mean that we would need more mobile phones, which would push companies extracting or looting minerals to do extra work in countries like the Democratic Republic of Congo, Chile, or such places. Today, to produce one mobile phone we need three child laborers. Now if we need one million phones per month how many child laborers would be required? I guess we all know the math! The history of the preceding 20th century is full of maniac dictators who promised complete prosperity to the sheepish population if they would be willing and able to endure collective pain. I think demonetization is one such event in the history of forceful globalization. 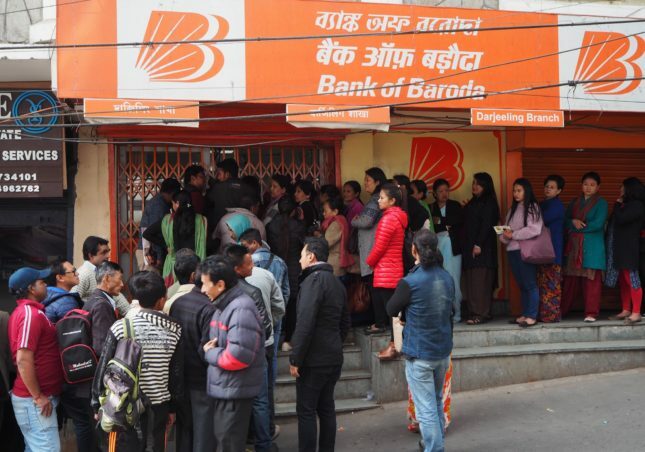 For the political elite it was an exercise in development, but for us, I mean for ordinary people like us, demonetization was a well thought out disaster. It killed poor people as usual. It made rich people more rich as usual. Editor’s Notes: Imtiaz Akhtar is the author of Kafka Sutra. August 7, 2016 Whose War Are We Fighting in Kashmir?